I enjoyed this medieval mystery starring my favourite Clerk, Sir Hugh Corbett. 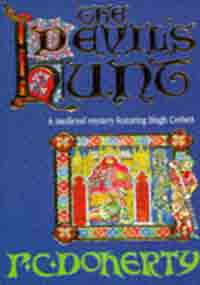 This one is set in 1303 and Corbett is sent to Oxford to investigate a number of vicious murders. Oxford was a completely new setting for the series, and I enjoyed learning about the college halls and scholars and how they operated so many hundreds of years ago. One of the key characters was surprisingly killed in this novel and I certainly wasn't expecting that. All in all, another enjoyable historical fiction by Doherty.